If you want to have a voice in how Colorado Parks and Wildlife manages the Buffalo Peaks elk herd, your time has arrived. As part of the process of revising the herd management plan that will guide CPW for the next 10 years, the wildlife agency has scheduled two public hearings in coming weeks to invite hunters, ranchers and the public to influence policies governing the herd. The first hearing is scheduled at 6:00 p.m., Tuesday, September 12, at the Canon City Hunter Education building, 51016 US Hwy 50. The second meeting is planned for 7:00 p.m., Wednesday, September 20, at the Sangre de Cristo Electric building, 29780 US Hwy 24 N, Buena Vista. The Buffalo Peaks elk herd spans Game Management Units 49, 57 and 58 from Leadville to Salida and into Park and Fremont counties. CPW has a goal of updating objectives in its herd management plans every 10 years. The existing herd management plan, also called a Data Analysis Unit or DAU, for the Buffalo Peaks herd was approved in October 2005. Public feedback is being sought on whether to maintain the current objectives for the next 10 years. 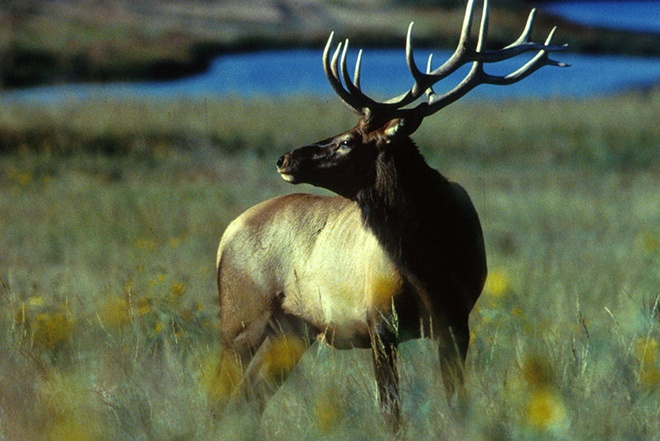 The current objective is a herd of 3,150-3,500 elk with a bull-to-cow ratio of 35-40 bulls per 100 cows. Under the existing management objectives, hunters seem to be generally happy and CPW has not received a tremendous number of complaints about game damage. If you disagree with those observations, please speak up. Your opinions and evidence could cause CPW to take a different approach in revising this plan.